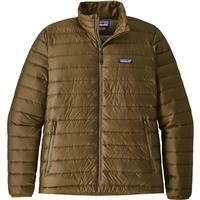 The Patagonia Men's Down Sweater Jacket is one of the warmest, most lightweight jackets you’ll find on the market. Constructed with 100 percent recycled polyester ripstop inside and out, this material also features a durable water repellent (DWR) treatment. Its incredible warmth comes from 800 fill power European goose down. This down can be traced from farm to factory to ensure geese were not force-fed or live-plucked. The longer-length cut puts the hem below the waist, keeping the wind at bay. Zippered “handwarmer” pockets combine with elastic cuffs to ensure a toasty experience inside every inch of this jacket. Even the hem-adjustment cord was thoughtfully placed inside the front pockets so you don’t have to free your hands when the wind picks up. If you’re often on the go, this jacket can follow you anywhere. It can be stuffed inside its own interior front pocket, condensing to hardly larger than a softball, allowing it to take up very little room in your backpack or luggage. Awesome every day jacket. Nice and warm while also lightweight. I take this just about anywhere and it does the trick! Cons: Down won't keep you wam if it is wet. This is a warm layering piece under a shell on cold days on the mountain or an everyday jacket for around town. It compacts right into the pocket so it can be placed in a pack and takes up almost no room. An excellent mid-layer jacket or everyday jacket in cold weather. The traceable down insulation is extremely warm it allows you to be versatile and mobile even under an outer shell. I bought this as a gift for my brother who spends lots of time in hockey rinks watching my nephew. He didn't believe me that it would be warm enough, but now is a Patagonia customer for life. Wears it all the time! A great jacket that is super warm while light weight enough for an everyday use. Awesome layering piece to be worn under a shell on those cold days on the slopes. Can be worn as a stand alone piece but don't get it wet. A stand alone fall jacket or a great layering piece on chilly days. Lightweight, warm and extremely pack-able, this is one of those essential pieces when traveling. Pros: Great all around jacket for skiing or everyday use. I bought this jacket for my son and he wears it all the time. The jacket will keep you super warm! The jacket can be worn as a layering piece or by itself. 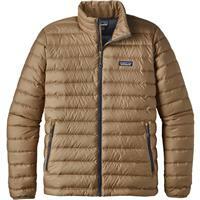 This is a very nice down jacket that works great as a layering piece or as an outer layer . Also this jacket is very compressible so you can easily use it when skiing or hiking and stuff it into a backpack if you get too warm. Super warm jacket to be worn as a mid layer or a stand-alone piece. I cannot say enough about this jacket. 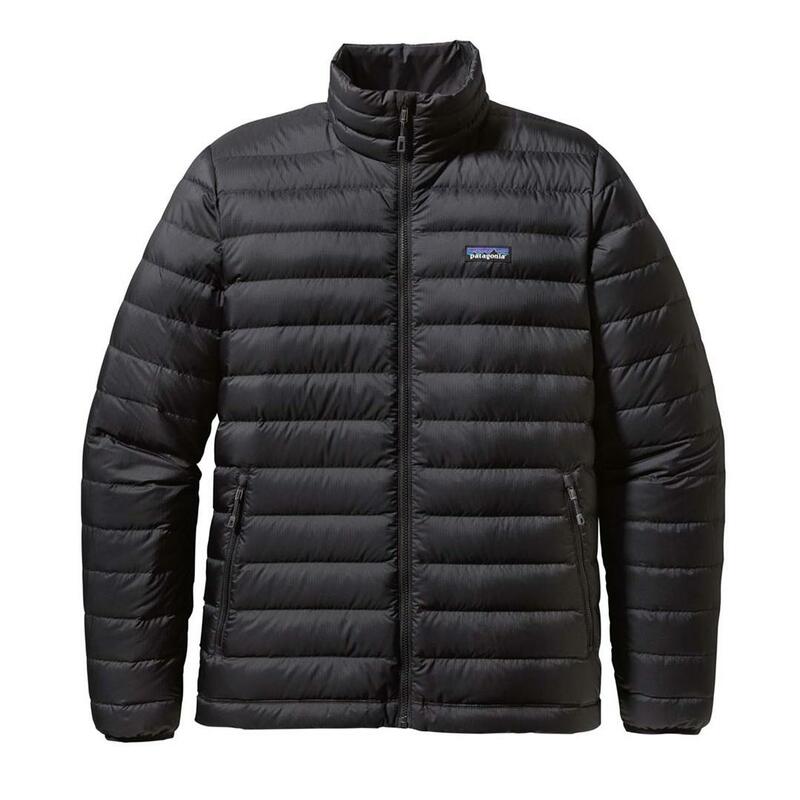 It was recommended to me years ago as a very warm mid-layer jacket, which it is and works very well. But it is also a great jacket to wear around on its own since it is incredibly warm, light and wind resistant. It's also excellent to take on a trip cause it rolls or folds up very small that I can keep it in my pack of necessary. At 600 fill down this jacket will keep you super warm! It is also water repelling and is very cool jacket for anyone to wear! This is a great layering piece for any cold weather trips you have planned. 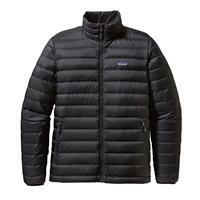 Good for fall and spring hiking trips and very light weight and compressible for a layering piece on backpacking trips. Highly recommend this down jacket to any outdoor enthusiast! The down sweater is my go to layer for cold days in the winter. The down insulation provides plenty of warmth when the temperature drops. It packs small for travel. It can be used as a layering piece, but provides plenty of warmth by itself. Excellent everyday warm jacket. Super warm and lightweight. 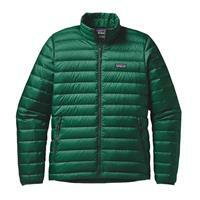 Great for outdoor winter hikes or as a mid layer on those extreme temperature days.